San Francisco state Sen. Scott Wiener is taking another run at passing a bill that would remake many California cities -- and perhaps help solve the state's affordable housing crisis -- by requiring high-density residential development near major transit corridors and commuter trains stations. Wiener's pitch for the bill, unveiled Tuesday, is identical to the argument he made for SB 827, which was killed in its first state Senate committee hearing. He says the legislation addresses affordability, sprawl and its impact on the state's climate goals and the threat the housing crisis poses to the California economy. But Wiener's new SB 50 -- like SB 827, it's sponsored by the pro-development group California YIMBY -- includes several new provisions that attempt to answer concerns that helped sink the earlier bill. One new feature would mandate denser development in more affluent "job-rich" communities -- even if they don't have high-intensity commute transit service. That's in response to complaints that SB 827 would have focused development on central-city communities and spared wealthier areas outside transit corridors. The legislation would also allow cities that include "sensitive communities"-- neighborhoods adjacent to transit that have a high risk of gentrification and displacement -- extra time to develop alternative planning processes focused on development of affordable, multifamily housing. SB 50 also seeks to ensure that state-defined affordable housing is included in any developments approved under the bill. For instance, developers would need to comply with existing city ordinances that require the inclusion of affordable units in new developments. If cities don't have such "inclusionary" housing ordinances on the books, builders would still be bound by state affordable development requirements to build units for a wide range of low-income tenants. The bill specifies that rental properties that have housed tenants any time in the last seven years or where owners have evicted tenants under the state's Ellis Act in the last 15 years will be ineligible to benefit under the proposal's zoning waivers. Qualifying projects proposed for either the "job-rich" or "transit-rich" development zones would be exempt from local limits on housing density and requirements to build a certain number of parking spots per new unit. Those proposing developments in "transit-rich" neighborhoods would get added incentives if they include as yet unspecified percentages of affordable units in their projects. Such projects could get to a waiver from local height limits of less than 55 feet, for instance. 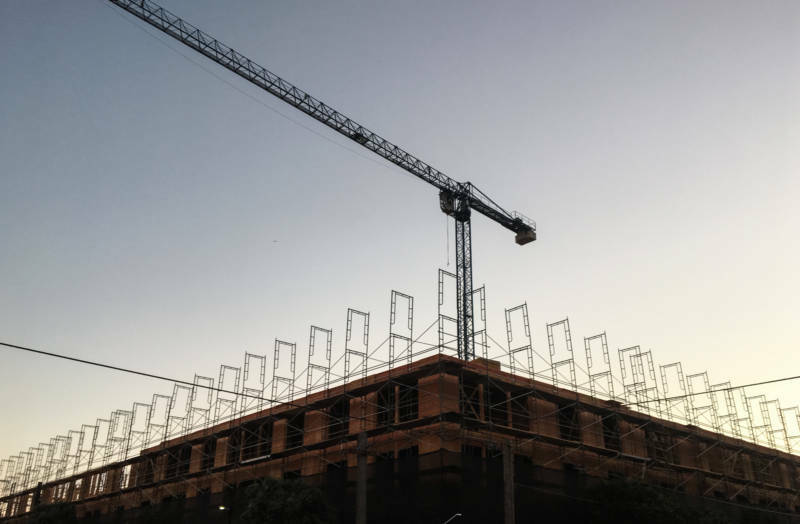 And through a grant of higher floor-area ratios -- a measure of the usable floor area in a development in relation to the size of the lot its built on -- the bill would allow developers to build more housing on a given parcel. One central conflict that played a major part in opposition to SB 827 -- cities' jealous protection of their power to decide what gets built where -- still looms as SB 50 begins its journey through the legislative process. "We're at a point in California where we have to do things differently," Wiener said in an interview Monday. "The way we've approached housing for many years, where we allow cities to do whatever they want with housing and adopt whatever zoning they want, no matter how restrictive or exclusionary -- that time period has come to an end." Wiener, who was elected to the state Senate after serving on the San Francisco Board of Supervisors, said he believes in local control and that it "overwhelmingly produces better results -- but not always." "When it comes to housing, I think the proof is in the pudding," he said. "We have a terrible housing problem, and we have to set better and stronger state standards so that local communities are allowing enough housing." Although he conceded that local government organizations like the League of California Cities will likely oppose SB 50, he pointed to early support expressed by several big city mayors, including London Breed of San Francisco, Libby Schaaf of Oakland and Darryl Steinberg of Sacramento. A more tempered view came from Los Angeles Mayor Eric Garcetti, who opposed SB 827. He offered a statement of support for Wiener's work but hinted at tough negotiations to come on SB 50. “Our state is coping with a housing crisis that threatens the California dream — and I applaud Senator Wiener for his bold efforts to help us get housing built while protecting people from being priced out of communities where they have invested so much of their lives," Garcetti said in a statement. "This bill is a good first step, and I will continue working with him to make certain that these statewide solutions are the right fit for Angelenos." SB 50 is coauthored by two East Bay Democratic lawmakers -- state Sen. Nancy Skinner of Berkeley and Assemblymember Buffy Wicks of Oakland. Other coauthors include Sens. Anna Caballero, D-Salinas; Ben Hueso, D-San Diego; John Moorlach, D-Costa Mesa; and Assemblymembers Autumn Burke, D-Marina Del Rey; Ash Kalra, D-San Jose; Kevin Kiley, R-Rocklin; Evan Low, D-Campbell; Robert Rivas, D-Hollister; and Phil Ting, D-San Francisco.